As part of an ongoing celebration of the immigrants among us extending well beyond Immigrant Heritage Month alone, it is our privilege to showcase the culturally diverse members of our System who work hand-in-hand with us each day to serve the global community. 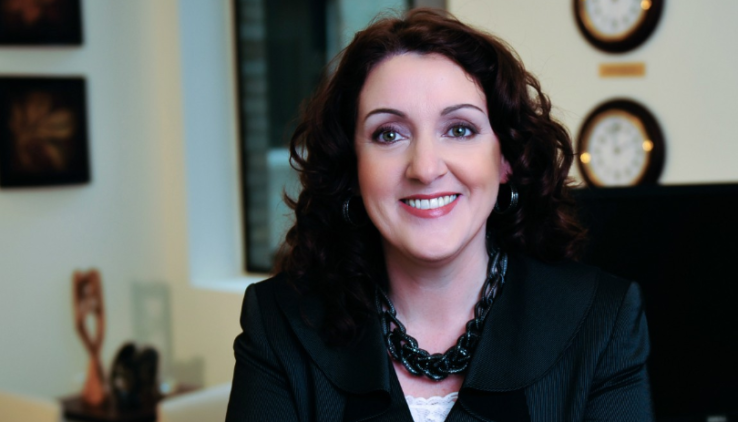 One of our revered TCS community members is U.S. immigrant and The Chicago School of Professional Psychology (TCSPP) President, Dr. Michele Nealon. Her newfound U.S. race revelation began a new consciousness of diversity for Dr. Nealon, that was further fueled by her exposure to the diverse cultures and backgrounds represented in her new home city that was so different from Ireland. Both the strong influence of race in American culture, and the need she felt to fully understand it in order to successfully navigate both personal life and the practice of psychology in the U.S. led her to enroll in a Doctorate of Psychology program at TCSPP. In tandem with her academic pursuits—which featured highly focused cultural competency training, her own assimilation into American society proved to be an empathy-building education. She recalls that while she came to clearly realize the privilege associated with her white race, her immigration experience and status were often marked by close encounters with cultural stereotyping and varying degrees of rejection for her Irish heritage—from language to politics – an experience that continues to this day. She credits both these personal experiences and her studies at TCSPP for fueling her acculturation, changing her dramatically as a person, and cultivating her life-long commitment to the advancement of inclusion and service. Extending beyond the scope of race alone to socioeconomic status and those otherwise different or isolated from mainstream society, her contributions to diversity and inclusion have been substantial throughout her professional rise to the presidency of TCSPP. Under her leadership, community service engagements are now a foundation of the TCSPP curriculum, with graduate students contributing 1.2 million hours of service each year to communities in need around the world from Skid Row in Los Angeles to post-genocide stricken Rwanda. Dr. Nealon adds that of all the challenges and diversity and immigration naysayers she encountered following her journey to the U.S., there were fifty-fold more that welcomed her and demonstrated genuine interest in her Irish culture. One of the many moving experiences she recalls is being sworn in as an American citizen. An immigrant himself, the presiding judge highlighted the fact the United States was built by immigrants, and that he could clearly see the powerful contributions each new citizen in the room would make to positively shape the future of the U.S. by simply looking in their faces. Dr. Nealon recalls the tremendous influence those words had on her that day, and has dedicated both her professional and personal life to shape that future. Grateful for the exposure that American culture affords her children today, she takes special pride in raising her two sons to embrace diversity, with a strong sense of their American identity anchored to their Irish heritage. “Raising two boys that will be true contributors to America based on the values of inclusion I taught them as a U.S. immigrant brings me enormous joy,” she shares. Dr. Nealon’s favorable impact as an immigrant is unquestionable, and her ongoing contributions to TCS through her work at TCSPP make our system greater than the sum of its individual parts. Thank you Dr. Nealon for your tireless work serving the community and advancing diversity and inclusion. Your longstanding commitment to serve others is precisely what makes us The Community Solution in Higher Education!